This article is about the museum. For the film, see Exploratorium (film). The Exploratorium is a museum in San Francisco that allows visitors to explore the world through science, art, and human perception. Its mission is to create inquiry-based experiences that transform learning worldwide. It has been described by the New York Times as the most important science museum to have opened since the mid-20th century, an achievement attributed to "the nature of its exhibits, its wide-ranging influence and its sophisticated teacher training program". Characterized as "a mad scientist's penny arcade, a scientific funhouse, and an experimental laboratory all rolled into one", the participatory nature of its exhibits and its self-identification as a center for informal learning has led to it being cited as the prototype for participatory museums around the world. 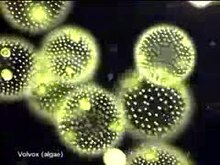 A medley of videos recorded at the Exploratorium's Microscope Imaging Station. The Exploratorium was founded by physicist and educator Frank Oppenheimer and opened in 1969 at the Palace of Fine Arts, its home until January 2, 2013. On April 17, 2013, the Exploratorium reopened at Piers 15 and 17 on San Francisco's Embarcadero. The historic interior and exterior of Pier 15 was renovated extensively prior to the move, and is divided into several galleries mainly separated by content, including the physics of seeing and listening (Light and Sound), Human Behavior, Living Systems, Tinkering (including electricity and magnetism), the Outdoor Gallery, and the Bay Observatory Gallery, which focuses on local environment, weather, and landscape. Since the museum's founding, over 1,000 participatory exhibits have been created, approximately 600 of which are on the floor at any given time. The exhibit-building workshop space is contained within the museum and is open to view. In addition to the public exhibition space, the Exploratorium has been engaged in the professional development of teachers, science education reform, and the promotion of museums as informal education centers since its founding. Since Oppenheimer's death in 1985, the Exploratorium has expanded into other domains, including its 50,000-page website and two iPad apps on sound and color. It has also inspired an international network of participatory museums working to engage the public with general science education. The new Exploratorium building is also working to showcase environmental sustainability efforts as part of its goal to become the largest net-zero museum in the country. The Exploratorium offers visitors a variety of ways—including exhibits, webcasts, websites and events—to explore and understand the world around them. In 2011, the Exploratorium received the National Science Board 2011 Public Service Science Award for its contributions to public understanding of science and engineering. When Oppenheimer was invited to join the University of Colorado's physics department in 1959, he found himself less interested in traditional laboratory research and much more interested in exploring methods of provoking curiosity and inquiry. He received a grant from the National Science Foundation, which he used to build models of nearly a hundred science experiments. :136–137 This "Library of Experiments" would become the core of the Exploratorium exhibit collection, and was the forerunner of the Exploratorium Cookbook, a manual explaining how to build these basic science exhibits. Convinced of the need for public museums to supplement science curricula at all levels, he toured Europe and studied museums on a Guggenheim Fellowship in 1965. Three European museums, encountered during that year, served as important influences on the founding of the Exploratorium: the Palais de la Découverte, which displayed models to teach scientific concepts and employed students as demonstrators, a practice that directly inspired the Exploratorium's much-lauded High School Explainer Program; the South Kensington Museum of Science and Art, which Oppenheimer and his wife visited frequently; and the Deutsches Museum in Munich, the world's largest science museum, which had a number of interactive displays that impressed the Oppenheimers. Back in the United States, Oppenheimer was invited to do the initial planning for a new branch of the Smithsonian, but he turned it down to work on what he called his "San Francisco project". In 1967, the Oppenheimers came to San Francisco with a view towards opening an independent museum of their own. Oppenheimer sought funding and support for the endeavor using a grassroots approach, bringing a written proposal and some handmade exhibits with him as he visited scientists, businesses, city and school officials, relatives, and friends. Many prominent scientists and cultural figures endorsed the project, and the offers of support in conjunction with a $50,000 grant from the San Francisco Foundation made the museum realizable. Oppenheimer served as the museum’s director until his death in 1985. Dr. Robert L. White served as director from 1987 to 1990. Dr. Goéry Delacôte served as executive director from 1991 until 2005. Dr. Dennis Bartels served as executive director of the Exploratorium from 2006 to 2016. In June 2016, the Exploratorium welcomed its newest director, Chris Flink. The museum has expanded greatly since the 1980s, increasing outreach, expanding programs for educators, creating an expanded Web presence, and forming museum partnerships around the world. The Exploratorium relocated from the Palace of Fine Arts to Piers 15 and 17, located between the San Francisco Ferry Building and Pier 39 along the San Francisco Embarcadero, in April 2013. The Piers location was identified by Goéry Delacôte and then-board chairman Van Kasper as a potential space for relocation in 2004.:11 In 2005, the San Francisco Board of Supervisors passed a resolution exempting the museum’s 66-year lease of the piers from San Francisco’s competitive bidding process due to its unique nature as a cultural and educational institution. Groundbreaking for the project, which required substantial construction and renovation, occurred on October 19, 2010. The Exploratorium holds a 66-year lease on the piers with the Port of San Francisco. Exhibits are currently only viewable at the Pier 15 campus; Pier 17 houses some staff, with the option for future expansion. Piers 15 and 17 are historic piers, built in 1931 and 1912 respectively. :21 In 1954, the area between the piers was infilled and paved over. This infill was removed as part of the construction phase, restoring the space between the piers to public plazas, a pedestrian bridge, and open water. The Exploratorium campus comprises 330,000 sq ft (31,000 m2) of indoor and outdoor exhibit space, and includes 1.5 acres (0.61 ha) of freely accessible public space. The exhibits are housed in and around Pier 15, which extends over 800 ft (240 m) over the Bay. Other challenges to the design of the facilities were presented by the museum’s sustainability initiatives. The use of natural light whenever possible challenged exhibit designers relying on carefully controlled light levels; this was solved by using curtains and glare-reducing paint colors. :32 Other conflicts between construction and energy use included the glass in the Observatory, which would have presented a problem in cooling the building on warm days. This was overcome by adding fritted glass to the windows in thin horizontal lines through the panes to decrease the transparency without affecting the views. :85 The fritting also makes the reflective surfaces of the Bay Observatory safe for birds. The design scheme for the Exploratorium's Seaglass Restaurant was inspired by the exhibit Color of Water. The design aesthetic for both the Seismic Joint and Seaglass Restaurant was created by designer Olle Lundberg and based on the exhibit Color of Water. The bar at Seaglass features a specially designed version of Exploratorium artist Shawn Lani’s exhibit Icy Bodies. The Exploratorium at Pier 15 has a net-zero energy goal as part of its overall sustainability efforts. Setting this net-zero goal means that, while in operation, The Exploratorium will produce more energy on-site than it will consume on an annual basis. The museum highlights its sustainability efforts in visible ways throughout the museum as part of a stated intention to lead by example. The Exploratorium, in order to reach its net-zero energy goal, produces energy with a roof-mounted array of photovoltaics. There are 5,874 PV modules on the roof, totaling 78,712 square feet (7,312.6 m2), with a projected year-1 yield of 1.3 MW-AC/square foot (13.9 MW-AC/m2), or a total year-1 yield of 2,113,715 kWh. Any surplus energy generated is intended to be fed back into the utility grid, as the projected annual energy use for the building totals at 1,275,936 kWh. In addition to solar power, the museum makes use of an HVAC system that takes advantage of the relatively constant, moderate temperature of the bay water under the piers, which is 50 to 65 °F (10 to 18 °C), to heat and cool the building. The bay water is filtered and sterilized before it is brought into a 4,000 US gallons (15 m3) cistern below the pier, where it is held for use. When needed, the bay water is moved to a titanium heat exchanger, of which the building has two, where it is either used to heat or cool water that is cycled through a system of thermally activated radiant slabs. There are 27 miles (43 km) of plastic tubing in the radiant heating system in the floor, creating 82 different heating and cooling zones with distinct control systems. After the bay water passes through the heat exchangers, it is returned to the San Francisco Bay as allowed by a permit issued by the California Regional Water Quality Control Board. Most of the energy savings are expected to come from using the bay water as a heat sink for the building’s cooling needs. When the temperature of the bay water is below that of the chilled water return from the radiant pipes, which is the case for most of the year in the Bay Area’s temperate climate, the system works in waterside economizer mode. In this mode, the cooling loads are met either entirely or partially through passive heat exchange between the colder bay water and the warmer return water, greatly reducing the building’s energy needs. The Exploratorium at Pier 15 has a separate system for its ventilation needs, pairing a dedicated outdoor air system (DOAS) with displacement ventilation distribution to bring outdoor air into the building. By integrating radiant heating and cooling and displacement ventilation, the Exploratorium has greatly reduced the portion of its HVAC system that relies on forced air. Reducing the size of a building’s forced air system has the associated benefits of both lower energy loads as well as reduced ductwork, both of which are cost-saving. The Exploratorium has multiple features designed to reduce its water consumption. 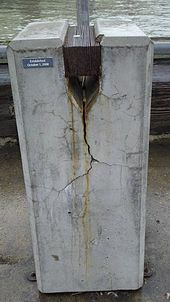 Two large cisterns under the structural beams connecting the southeast pilings capture up to 338,000 US gallons (1,280 m3) of rainwater and fog runoff for reuse in the facility. The plumbing is designed for water conservation, with waterless urinals and dual-flush toilets projected to save an annual million gallons of water. Additionally, the bay water heating and cooling system is estimated to save two million gallons of potable water a year by eliminating the need for traditional evaporative cooling towers. The Exploratorium at Pier 15 also makes use of natural light in the effort to reduce energy loads. The existing building had many clerestory windows and an overhead skylight that runs the length of the interior space. In compliance with historic preservation requirements, the building’s façade was left mostly unchanged, allowing for much of the interior space to benefit from the existing architecture’s ample daylight. The retrofit did include the addition of high performance glazing to the existing windows. In January 2014, the Exploratorium was awarded LEED Platinum certification. According to the New York Times, "After a two-year post-opening shakedown period of monitoring and adjusting the systems, the Exploratorium hopes to become the largest net-zero-energy-use museum in the United States and possibly the world." The Exploratorium is also turning its commitment to sustainability into a learning experience by showcasing elements of the building’s green design on site. The new site contains over 600 exhibits, 25% of which were developed specifically for the Pier 15 site. With the exception of some art installations, all exhibits are developed and made onsite. The indoor and outdoor spaces are divided into six galleries, each highlighting a specific content group. Many exhibits are mobile, however, and move among different galleries; similarly, not all exhibits fall into distinct categories. Exhibits cover a range of subject areas, including human perception (such as vision, hearing, learning and cognition), the life sciences, physical phenomena (such as light, motion, electricity, waves and resonance, and magnetism), local environment (water, wind, fog, rain, sun, and other elements, as well as cityscape, landscape, and the flora and fauna of the Bay) and human behavior (such as cooperation, competition, and sharing). The West Gallery focuses on human behavior. Its signage and exhibits encourage visitors to play with perception; investigate memory, emotion, and judgment; and experiment with how people cooperate, compete, and share. It holds exhibits such as Poker Face (partners try to assess when someone is bluffing), Trust Fountain (an experimental exhibit from the museum’s National Science Foundation-funded Science of Sharing project, this two-person drinking fountain is based on the Prisoner’s dilemma, a classic scenario centering on negotiation and trust), and the Tactile Dome, a pitch-black environment visitors explore by touch, which was originally designed by August Coppola. The West Gallery also included the temporary exhibition The Changing Face of What is Normal: Mental Health, which showcased the personal artifacts of patients from the now-decommissioned Willard Psychiatric Center, which was on view through April 2014. The West Gallery also houses the Kanbar Forum, a cabaret-style theater that will host music events, science lectures, and other programs when it opens in summer 2013. The South Gallery is a workshop area where visitors can engage in learning through hands-on making, located directly across from the Exploratorium's own internal exhibit workshop, which is also open to their view. Oppenheimer wanted visitors to be able to “smell the oil”, and insisted that the usually hidden exhibit-building activities be on display as an exhibit in its own right. Exhibits in the South Gallery highlight a DIY aesthetic, and include Animation Stations where visitors can make their own stop-motion films. Artworks on display include the Tinkerer’s Clock (a 22-foot-high clock constructed by artist Tim Hunkin, with figurines in his noted cartoon style that can be manipulated by visitors and unfold into a clockface on the hour); and Rolling Through The Bay (a sculpture made by artist Scott Weaver over the course of 37 years, utilizing over 100,000 toothpicks and depicting many of the Bay Area’s iconic landmarks, through which a ping-pong ball can roll on one of several different "tours"). A visitor investigates the reflective properties of the Giant Mirror in the Central Gallery of the Exploratorium at Pier 15. The Bechtel Central gallery houses many of the "classic" Exploratorium exhibits, including many of those that have been on display since the very earliest years of the museum. It includes a mix of new and old exhibits that investigate physics and the perception of light, color, and sound, such as Sound Bite (a demonstration of hearing with the jawbone instead of the ears) and Bright Black (a trick of perception convinces viewers that an object is white when it is almost entirely black). The East Gallery houses a much-expanded selection of life sciences exhibits. Many exhibits relate directly to the immediate local environment, such as the Glass Settling Plate (barnacles and other creatures are grown on a plate in the Bay, then put live under a mobile microscope to be observed from both above and below) and the Algae Chandelier (visitors can pump air to nourish overhead tanks of colorful phytoplankton). Other exhibits explore different biological systems and processes, such as the imaging station with mouse stem cells, the live cow’s eye dissections, and the Live Chicken Embryo (one of the oldest of the Living Systems exhibits, showing live chicken embryos at different stages of development). The Bay Observatory building is the only new building constructed on the Exploratorium’s campus. It holds the Seaglass restaurant on its lower level and exhibits on the upper level relating to the waterfront and the cityscape. The gallery focuses on what visitors can see in real time, including the movement of clouds and tides, the changing waterfront, the movement of ships, and interpretation of oceanographic data. The Observatory has glass walls on all four sides to facilitate observation. Many of the exhibits were developed specifically for the location, such as Oculus (a circular opening in the ceiling that allows the entire gallery to be used as a timepiece, tracking seasons, solstices, and the sun’s movement), Visualizing the Bay (a 3-D topographic map of the Bay Area that allows visitors to see real data mapped over the landscape, such as the movement of fog and the salinity of the Bay over the course of days or years), and the Map Table (an assortment of historic and contemporary maps and atlases displaying different views and perspectives on the landscape). The Bay Observatory also houses the Wired Pier project, which consists of more than a dozen sensors on and around the Bay Observatory that stream real-time data about the surrounding environment, such as quality of air and bay water, weather, tides and pollution, and compile it into interactive visualizations. Mist from Fujiko Nakaya’s Fog Bridge drifts over the water between Piers 15 and 17 at the Exploratorium. The Outdoor Gallery comprises the north, south, and east aprons of Pier 15, and extends through both ticketed and unticketed space. Focus is on direct interaction with the Bay environment, which can be seen in exhibits such as Color of Water (an installation of 32 distinct color swatches suspended below the rail surrounding the pier so that visitors can investigate the changing colors of the Bay’s water). Another notable exhibit is Remote Rains, which allows visitors to choose a past rainstorm as profiled by the Hydrometeorology Testbed, which is then recreated by a rain machine that duplicates the frequency, size, and velocity of the raindrops, giving a tangible experience of NOAA research data on storms. The Exploratorium campus includes 1.5 acres (0.61 ha) of publicly accessible open space. This includes the plaza facing on the Embarcadero, the connector bridge between Piers 15 and 17 where Fog Bridge # 72494 is installed, the south apron of Pier 17, and the east and south aprons of Pier 15. This public space overlaps with the Outdoor Gallery, and includes some notable exhibits, such as the Aeolian Harp (an expanded version of the original installation by Doug Hollis on the roof of the Exploratorium at the Palace of Fine Arts, first created in collaboration with Frank Oppenheimer in 1976) and the Bay Windows (visitors spin disks filled with samples of Bay mud, sand, and gravel gathered from five distinct regions of the Bay itself). The lower level of the Bay Observatory Building houses the Seaglass Restaurant, which, like the Seismic Joint Cafe, is open to unticketed members of the public. Both the Seismic Joint and Seaglass are run by Loretta Keller, chef-owner at Coco500, in partnership with Bon Appetit Management Company. The Exploratorium seeks to bring hands-on inquiry to education, including training teachers in the teaching of science. Between 1995 and 2012, an estimated 6,400 educators from 48 states and 11 countries directly participated in Exploratorium workshops. The Teacher Institute, founded in 1984, is an Exploratorium-based professional development program geared towards middle and high school science teachers. In addition to providing workshops at the museum that teach hands-on and inquiry-based teaching methods, it provides coaches and support for novice teachers. Studies have shown that while 30 to 50 percent of new teachers leave the profession within five years, the retention rate for teachers who go through the Teacher Institute is 85 to 90 percent. The Teacher Institute is also home to the Iron Science Teacher, a national competition that celebrates innovation and creativity in science teaching, which originated at the Exploratorium in San Francisco. Parodying the cult Japanese TV program, Iron Chef, this competition showcases science teachers as they devise classroom activities using a particular ingredient — an everyday item such as a plastic bag, milk carton, or nail. Contestants are currently or formerly part of the Exploratorium's Teacher Institute and compete before a live audience for the title of "Iron Science Teacher". Shows are also archived on the Exploratorium's website. Two out of three teachers applying were being turned away due to space limitations, by the time the Exploratorium closed at its former location; following the move to the Piers, the Exploratorium has been expanding its professional development for teachers through the Teacher Institute. As of 2013[update], two MOOC courses were also being made available through MOOC provider Coursera. One course integrates engineering into middle and high school STEM classrooms, and the other integrates making and tinkering activities into elementary and middle school classrooms. The Exploratorium operates several programs centering on informal learning. The Institute for Inquiry (IFI) is a professional development program of the Exploratorium geared towards educators, scientists, administrators, and policymakers. The Institute is a recipient of National Science Foundation funding and designs programs, materials and tools to help leaders in the science education community further the role of inquiry in elementary science education and strengthen reform efforts. It consists of workshops and an online library of resources available to participants in the Institute. The Institute for Inquiry partnered with the Sonoma Valley Unified School District on a program combining science education with English Language Development (ELD). Data from the two-year pilot study showed that a professional development program designed to help teachers integrate ELD strategies into science lessons had a significant, measurable impact on the achievement of students in both ELD and in science. The Center for Informal Learning and Schools (CILS) is a collaboration between the Exploratorium, the University of California Santa Cruz, and King's College London. CILS studies the intersection between museums and schools as centers of informal learning with the intention of understanding how informal science learning occurs and how informal educational centers such as the Exploratorium can contribute to science education reform. The Tinkering Studio began in 2008 as an in-house program geared towards maker culture and a “think with your hands” approach. It is housed within the museum in a dedicated space in the South Gallery, where it runs free do-it-yourself activities for museum visitors; it also shares its work with a larger audience of educators in afterschool programs, schools, museums and other learning environments. It is being cited as a prototype for similar programs across the globe, including South Korea, Canada, India, and Saudi Arabia. The Exploratorium also operates as afterschool tinkering program in partnership with San Francisco chapters of the Boys and Girls Club. In 2012 the Exploratorium was awarded a grant to create the California Tinkering Network, in collaboration with the Community Science Workshops, Techbridge, the Discovery Science Center, the California Afterschool Network, and the California STEM Learning Network. These organizations partner with over 20 local afterschool or summer programs to provide STEM-enriched activities for children in underserved communities. The initiative was designed to test an adaptable model for providing tinkering activities to promote learning and development in an afterschool setting. The Exploratorium also houses a number of other educational resources. These include the Learning Commons, a library and media resource center that houses a collection of print and digital science teaching resources for use by regional educators; a webcast studio, located in the Central Gallery, which produces 75 educational Webcasts from the museum and locations around the world annually, including a live webcast of the Mars Curiosity Rover launch and landing; and Lifelong Learning, which creates educational programming for children, teens, family groups, and adults. Lifelong Learning programs further the Exploratorium’s stated dedication to informal learning and the museum as teaching tool, and include day camps, workshops for families, the Homeschool Science series (in-house classes geared specifically towards homeschooled students), the Girl’s Science Institute (multi-day workshops geared towards girls 9-11), and excursions for adults. The Exploratorium has also published a number of books, and many of the 50,000 pages on its website are hands-on activity ideas or science experiments in the museums’ signature open-ended style. The Exploratorium operates several educational outreach programs. The Community Outreach Program works with community organizations to provide exhibit-based educational activities for underserved children and families in the local community. The Exploratorium is also home to XTech, a science education program for underserved middle school students. Begun in 2006, XTech was primarily funded by a National Science Foundation grant and provided afterschool activities in science, engineering, and technology in partnership with two community-based organizations in the Bay Area. XTech serves over 100 students a year in addition to 10-15 youth facilitators. The Exploratorium Explainer program, which has been operating since the museum opened, hires and trains high school students and young educators each year. The program tripled its capacity, hiring 300 Explainers, following the relocation to Pier 15 in 2013. The Explainers function essentially as docents. There are two types of Explainers: High School Explainers, who are teenagers, and Field Trip Explainers, who are college students and young educators. The program was conceived by Frank Oppenheimer in the early days of the museum. He wanted to provide a visitor experience that was a learning experience in a museum context and allowed for guesswork and the absence of "correct" answers. He felt young people would be more capable than adults at conveying the open-ended experience he was looking for. His plan with the Explainers was to "loosen up the whole feeling of learning." Oppenheimer also intended the program to allow students to experience learning outside the framework of their school systems. The Explainers come from a highly diverse array of socioeconomic backgrounds, and he hoped they would bring families and friends who would not otherwise be likely to visit a museum. :169–174 Both the High School and Field Trip Explainers are paid positions. The Explainer Program was inspired by the staff demonstrations Frank observed at the Palais de la Decouverte, although the facilitators at the Palais when Oppenheimer visited were either graduate students or practicing scientists. The success of the Exploratorium’s Explainer program led the Palais to eventually hire teenage explainers of their own. Former Explainers often cite their experiences at the Exploratorium as defining elements of their success, including several notable tech CEOs. The formal artist in residence program was started in 1974, but artworks such as Bob Miller’s Sun Painting were commissioned shortly after the museum was opened in 1969. Since the founding of the artist in residence program, over 250 artworks in various disciplines have been created. Each year, the museum invites ten to twenty artists to participate in residencies ranging from two weeks to two years. Artists-in-residence work with staff and the visiting public to create original installations, exhibits, or performances. Artists are given a stipend, housing, travel expenses, and technical support, and they have at their disposal the Exploratorium's full array of metal and woodworking shops and materials. Two artists-in-residence who went on to become staff members have been awarded MacArthur Fellowship "genius" grants: Walter Kitundu and Ned Kahn. The new Embarcadero campus opened with more than 40 pieces by prominent artists, including Douglas Hollis, Golan Levin, Lucky Dragons, Amy Balkin, and Fujiko Nakaya. The Center for Art and Inquiry, a new project at the new location, is an initiative to catalyze and orchestrate art across the museum. The Exploratorium has an equally long history with musical, film and other performances. Participating artists and performers included Laurie Anderson, John Cage, Philip Glass, Steve Reich, Brian Eno, Ali Akbar Khan, Trimpin, and The Mermen. In addition to the artists in residence, the museum’s Osher Fellows Program hosts 4-8 resident scholars, scientists, educators, and artists every year. Notable Osher Fellows have included Walter Murch, James Crutchfield, Christian de Duve, Arthur Ganson, Tim Hunkin, Lewis Hyde, Evelyn Fox Keller, Guillermo Gómez-Peña, Rosamond Wolff Purcell, Oliver Sacks, Mierle Laderman Ukeles, and Juan Felipe Herrera. There are hands-on activities for younger visitors (under 14 - needs confirmation). The pendulum art activity has a youngster picking four different color markers. The youngster then pushes a large board suspended by 4 wires to develop a pattern. At the youngster's say so, the attendant places a selected color into an arm and lowers it onto a white paper weighted to the board. The marker patterns the movement of the board. After 4 markers are done, the project is complete, signed by the 'young artist', and taken home. In 2007, the Exploratorium was highlighted in the book Forces For Good as one of the 12 most effective non-profits in the United States, and was the only West Coast institution and only museum to make the list. It has inspired science museums worldwide, from the Reuben H. Fleet Science Center in San Diego to the Garden of Archimedes in Florence, Italy. In 2003, The Oxford Companion to the History of Modern Science noted that about 400 science centers in 43 countries were established after the example of the Exploratorium. In 2012, 570,000 people visited the Exploratorium; 55% were adults and 45% were children. Geographically, 52% were from the Bay Area, 24% from the rest of California, 14% from other states, and 10% outside the US. Some 36% received free or discounted admission, and 44,000 attended on free admission days. Prior to the relocation, 97,000 students and chaperons visited the museum each year; of these, 67,000 participated in the Field Trip program. It was estimated that 180 million people visited Exploratorium exhibits at science centers and other locations worldwide. Annual attendance at the new Pier 15 location was anticipated to exceed one million. However, in August 2013, the New York Times reported that although attendance had soared, revenues still fell short of goals, forcing the Exploratorium to lay off around 1/5 of its staff. Museum officials had decided not to make a big publicity push upon reopening, fearing the overcrowding experienced by the California Academy of Sciences in 2008, but this was later viewed as "an opportunity lost". A staffer (expecting himself to be laid off) observed that the Exploratorium seemed to be "moving from visionary, internally developed work to work-for-hire for other museums around the world”, as the management scrambled to earn more money from consulting for other organizations to replace unrealized admissions revenue. On April 17, 2014 the Exploratorium announced that attendance in the first year since re-opening was 1.1 million visitors, and that other key statistics had doubled or tripled. Solar Eclipse webcast at the old Exploratorium. Online since 1993, the Exploratorium was one of the first museums to build a site on the World Wide Web. The site serves 13 million visitors each year. It has received six Webby Awards since 1997, including four for Best Science Website and one for Best Education website, and has been an honoree an additional ten times. The Exploratorium's website is an extension of the experiences on the museum's floor and provides a large number of hands-on activities and exhibits for online-only visitors. The Exploratorium also broadcasts live video and/or audio directly from the museum floor (or from satellite feeds in the field, at such locations as Antarctica or the Belize rainforest) onto the Internet from its Webcast Studio. Webcasts provide access to special events, scientists, and other museum resources for audiences on the Web. Visitors to the website can hear or view interviews with scientists, "meet" interesting people, or tour unique locations from factories to particle accelerators. The Exploratorium has additionally released two free iPad apps, Sound Uncovered (2013) and Color Uncovered (2011), which assist in making its unique educational model as accessible as possible. Color Uncovered has been downloaded more than a million times. The Exploratorium has a number of partnerships with other organizations. One notable current partnership is with the National Oceanographic and Atmospheric Administration (NOAA). NOAA research vessels periodically berth at the end of Pier 15 and use the working biological labs featured in the museum to bring their research and data to the public. 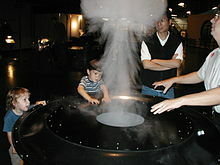 A number of exhibits at the Exploratorium, such as Remote Rains, are based on NOAA data. NOAA scientists additionally provided training for the Explainer program to assist Explainers in explaining science to visitors based on the NOAA’s areas of research. The Exploratorium Global Studios initiative is an entrepreneurial endeavor that shares resources, exhibits, and research with foreign governments, universities, partner museums, libraries, hospitals, and other public and private entities around the world. One area of significant current activity for the Global Studios initiative is the Middle East, where it hopes to assist countries that are making long-term investments in education and transitioning to more information-based economies. For example, the Tinkering Studio visited a science festival in Al Khobar, Saudi Arabia in the summer of 2012, where they trained a group of teachers to help thousands of festival participants to experience the hands-on learning style favored by the Exploratorium. The Exploratorium is open Tuesday through Sunday from 10am-5pm, with adults-only evening hours from 6pm-10pm on Thursdays (for visitors age 18+). The entire museum is wheelchair-accessible. The Exploratorium is located on the Embarcadero at Green Street, between Fisherman’s Wharf and the Ferry Building. The museum is accessible by multiple modes of public transit, including BART, Muni streetcar, bus, taxi, and pedicab. It is located 0.6 miles (0.97 km) from the Embarcadero BART and MUNI stations, and has its own stop on the F streetcar line. The Exploratorium does not own or operate any parking lots, but is located near several publicly accessible lots and on-street parking, including a lot directly across the street, operated by the Port of San Francisco. Community π Day started at the Exploratorium by Larry Shaw and is celebrated annually on 3/14 (March 14). Iron Science Teacher competition (like Iron Chef) showcases science teachers as they devise classroom activities using a particular ingredient. Monthly events include "Full-Spectrum Science with Ron Hipschman". Every Thursday is "After Dark" for adults. The Exploratorium maintains exhibits in public Bay Area spaces. The Outdoor Exploratorium consists of 14 different exhibits relating to the local environment, all placed outside in the Fort Mason area and accessible to the general public. The Wave Organ is another notable public artwork of the Exploratorium. Created by former staff artist Peter Richards, this acoustic sculpture is situated on a point of land jutting into the San Francisco Bay not far from the Exploratorium’s original Palace of Fine Arts location. ^ a b Slafkosky, Jenny. "Fact Sheet: One Year at Pier 15". Exploratorium. The Exploratorium. Retrieved 2014-05-15. ^ Carlson, C. (2005). "Accessing the Microscopic World". PLoS Biology. 3 (1): e12. doi:10.1371/journal.pbio.0030012. PMC 544541. PMID 15660153. ^ a b Rothstein, Edward. "An Emphasis on Newton's Laws (and a Little Lawlessness)". The New York Times. Retrieved 12 June 2013. ^ a b McCarthy, Allison. "A First Look at the New Exploratorium". 7x7 Magazine. Retrieved 12 June 2013. ^ Rothstein, Edward (March 13, 2010). "The Thrill of Science, Tamed by Agendas". The New York Times. ^ Chang, Kenneth (August 13, 2012). "San Francisco Exploratorium to Show New Face in a New Place". The New York Times. Retrieved 12 June 2013. ^ Perlman, David (April 10, 2013). "Exploratorium sets 'Net-Zero' energy goal". The San Francisco Chronicle. Retrieved 12 June 2013. ^ "San Francisco-based Exploratorium to Receive National Science Board's 2011 Public Service Award". National Science Board. April 4, 2011. Retrieved 2012-06-20. ^ a b c d e f g h i j Cole, K. C. (2009). Something Incredibly Wonderful Happens - Frank Oppenheimer and the World He Made Up. Houghton Mifflin Harcourt. ISBN 978-0-226-11347-0. ^ "Exploratorium Cookbook I: A Construction Manual for Exploratorium Exhibits". Exploratorium Publications. The Exploratorium. Archived from the original on April 23, 2009. Retrieved 2014-04-18. ^ Hein, Hilde (1990). The Exploratorium - The Museum as Laboratory. Smithsonian Institution Press. pp. 4–21. ISBN 978-0-87474-466-8. ^ a b c d e f g h i j Woolsey, Kristina (2013). Build: The Making of a Museum. Exploratorium. ISBN 978-0-943451-66-4. ^ Sadiq, Sheraz. "Exploratorium Unveils Plans for New Home". QUEST. KQED. Retrieved 12 June 2013. ^ Perlman, David (October 19, 2010). "Exploratorium in S.F. beginning work on new home". The San Francisco Chronicle. Retrieved 12 June 2013. ^ Woolsey, Kristina (2013). Under: The World Below the Museum. Exploratorium. ISBN 978-0-943451-67-1. ^ Beato, Greg (March 20, 2013). "The Science of Moving Science Across Town". The New York Times. Retrieved 12 June 2013. ^ Lee, Lydia (October 20, 2010). "Breakthrough at San Francisco's Exploratorium". The Architect's Newspaper. Archived from the original on 17 May 2013. Retrieved 12 June 2013. ^ Gerfen, Katie (June 24, 2013). "Exploratorium, Designed by EHDD". THE JOURNAL OF THE AMERICAN INSTITUTE OF ARCHITECTS. Retrieved 4 August 2015. ^ a b c d e f Woolsey, Kristina (2013). Sustain: The Museum as Exhibit. Exploratorium. ISBN 978-0-943451-68-8. ^ Schreiber, Dan (June 19, 2011). "Bird-safe building standards taking flight in San Francisco". The San Francisco Examiner. Archived from the original on September 8, 2012. Retrieved May 23, 2013. ^ Meier-Johnson, Pat. "Seaglass Restaurant at the Exploratorium: A Sense for the Feasters". The Connected Traveler. Archived from the original on 15 June 2013. Retrieved 12 June 2013. ^ Pape, Allie. "Loretta Keller's Exploratorium Duo to Open April 17". SF Eater. Retrieved 12 June 2013. ^ Crawley, Drury B.; Torcellini, Paul A., Ph.D., P.E. (September 2006). "Understanding Zero-Energy Buildings". American Society of Heating, Refrigerating and Air-Conditioning Engineers, Inc.: 63. ^ Woolsey, Kristina (2012). Sustain: The Museum as Exhibit (PDF). The Exploratorium. p. 22. ISBN 978-0-943451-68-8. ^ Truong, Alice (February 27, 2013). "Landmark museum to reopen as most energy-efficient institute on Earth". Yahoo! News. Retrieved 12 June 2013. ^ a b "Sustainability Fact Sheet: Environmentally Conscious Inside and Out" (PDF). EHDD Architecture. Retrieved 29 November 2014. ^ "Exploratorium's Net-Zero Energy Goal for New Waterfront Home 2013". Exploratorium. Retrieved 29 November 2014. ^ a b Abellon, P.E., Devin A. "Exploratorium's New Waterfront Home Features Innovative Radiant System Using SF Bay Water". Uponor, Inc. Retrieved 29 November 2014. ^ a b Abellon, Devin. "Exploring Every Possibility". EDC: The Official Magazine for the LEED Professional. BNP Media. Retrieved 29 November 2014. ^ "ORDER NO. R2-2010-0082" (PDF). California Environmental Protection Agency: State Water Resources Control Board. 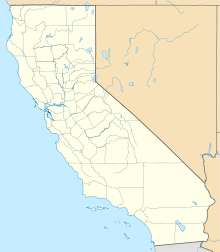 California Regional Water Quality Control Board: San Francisco Bay Region. Retrieved 29 November 2014. ^ Straube, John. "The Perfect HVAC". Building Science Corporation. Retrieved 12 December 2014. ^ Woolsey, Kristina (2012). Sustain: The Museum as Exhibit (PDF). The Exploratorium. p. 17. ISBN 978-0-943451-68-8. ^ Woolsey, Kristina. Sustain: The Museum as Exhibit. The Exploratorium. p. 79. ISBN 978-0-943451-68-8. ^ Gerfen, Katie. "Exploratorium". Architect Magazine: The Magazine of the American Institute of Architects. Retrieved 13 December 2014. ^ O'Young, Mignon. "Sustainability Around The Bay". GAB: Green Architecture and Building Report. Retrieved 13 December 2014. ^ "Exploratorium at Piers 15/17 LEED Scorecard". US Green Building Council. US Green Building Council. ^ Hall, Christopher (August 6, 2013). "A San Francisco Museum, Reborn on the Bay". New York Times. Retrieved 2013-08-07. ^ Perlman, David (April 14, 2013). "Exploratorium opens April 10 at Pier 15". The San Francisco Chronicle. Retrieved 12 June 2013. ^ "Museum Galleries". The Exploratorium. Retrieved 12 June 2013. ^ "Galleries and Exhibit Highlights". The Exploratorium. Retrieved 12 June 2013. ^ Barmann, Jay. "August Coppola, Brother of Francis, Creator of Tactile Dome, Dies at 75". SFist.com. Archived from the original on 13 August 2013. Retrieved 12 June 2013. ^ Kelly, Heather (April 19, 2013). "San Francisco's Exploratorium opens in sparkling new home". CNN. Retrieved 12 June 2013. ^ Truong, Alice (April 12, 2013). "Exploratorium Reborn: Inside San Francisco's New Innovation Shrine". Gizmodo. Retrieved 12 June 2013. ^ Koh, Barbara. "At the Exploratorium – Scott Weaver's Amazing Toothpick Art". About.com. Retrieved 12 June 2013. ^ Rosenblatt, Seth (April 14, 2013). "San Francisco Exploratorium shows off its huge new digs". CNET. Retrieved 12 June 2013. ^ Hawkes, Alison (April 18, 2013). "The Exploratorium's new eyes on the bay". Bay Nature Magazine. Retrieved 12 June 2013. ^ a b c Plutchak, Rochelle (April 17, 2013). "NOAA Science Has Home at the New Exploratorium". National Oceanographic and Atmospheric Administration Website. Retrieved 12 June 2013. ^ "SF Exploratorium set to open in new $300M digs". Huffington Post. Associated Press. April 10, 2013. Retrieved 12 June 2013. ^ "Over the Water". The Exploratorium. Retrieved 12 June 2013. ^ Aleta, George (April 17, 2013). "An Artist Creates Artificial Fog in San Francisco". Smithsonian Magazine Blog. Retrieved 12 June 2013. ^ a b Miranda, Carolina A. "Painting the Sun and Sculpting Fog". ARTnews. Retrieved 2014-05-22. ^ "Aeolian Harp". The Exploratorium. Retrieved 12 June 2013. ^ "Bay Windows". The Exploratorium. Retrieved 12 June 2013. ^ "Informal Science Learning, a new study by the National Research Council". United States National Research Council, Sponsored by the United States National Academies. 2009-01-14. Retrieved 2010-11-03. ^ a b "Fact Sheet 2012-2013". The Exploratorium. Retrieved 17 June 2013. ^ a b Olney, Jennifer (August 15, 2012). "Teachers participate in intense training program". KGO-TV. Retrieved 17 June 2013. ^ Harrington, Theresa (July 2, 2012). "'Iron Science Teacher' competitors at Exploratorium use museum paper as secret ingredient in fun demos". The San Jose Mercury News. Retrieved 17 June 2013. ^ Ellis, Booker (May 1, 2013). "Coursera Online Hub Offers Teachers Development". InformationWeek. Archived from the original on 15 June 2013. Retrieved 17 June 2013. ^ Inverness Research Associates (June 2001). Report: The Exploratorium's Institute for Inquiry Four Cornerstone Claims (PDF) (Report). Inverness Research. p. ii. Retrieved 17 June 2013. ^ "Project Narrative: Integrating English Language Development and Science: A Professional Development Approach" (PDF). Investing in Innovation Fund Website. US Department of Education. Retrieved 17 June 2013. ^ "Project Details: Center for Informal Learning and Schools". Informal Science. Retrieved 17 June 2013. ^ Guthrie, Julian (November 26, 2011). "Exploratorium's Tinkering Studio makes science fun". The San Francisco Chronicle. Retrieved 17 June 2013. ^ Raker, Silva (March 31, 2013). "Exploratorium expanding minds in Mideast". The San Francisco Chronicle. Retrieved 17 June 2013. ^ Leibrich, Ryan (April 25, 2013). "New Exploratorium location opens its doors". El Tecolote. Archived from the original on 15 June 2013. Retrieved 17 June 2013. ^ Carroll, Becky; Castori, Pam; Smith, Anita (September 2009). The Exploratorium's XTech Program: Engaging STEM Experiences for Middle School Youth (PDF) (Report). Inverness Research. p. 1. Archived from the original (PDF) on 2 April 2015. Retrieved 17 June 2013. ^ "SF Exploratorium set to open in new $300 million waterfront facility". KTVU. April 9, 2013. Archived from the original on April 11, 2013. Retrieved 18 June 2013. ^ Richardson, Anne (2011). Explainers' development of science-learner identities through participation in a community of practice (PhD). Antioch University. Archived from the original on 15 June 2013. Retrieved 17 June 2013. ^ Duensing, Sally (November–December 1999). "Exporting the Exploratorium: Creating a "Culture of Learning"". ASTC Dimensions. Retrieved 18 June 2013. ^ Hamlin, Jesse (August 19, 1999). "Learning From Teaching at the Exploratorium / Student guides' lessons went beyond science". The San Francisco Chronicle. Retrieved 18 June 2013. ^ Lee, Dan (April 10, 2005). "Profile of VeriSign chairman, CEO". San Jose Mercury News. ^ Silver, Linda (October 25, 2011). "Backyard science today, an innovative workforce tomorrow". The National. Retrieved 17 June 2013. ^ "Artist-in-Residence Program". Exploratorium. The Exploratorium. Retrieved 2014-04-18. ^ "Bob Miller". Exploratorium. The Exploratorium. Retrieved 2014-12-06. ^ Peter Turvey (1992-02-15). "Artful Science from Sunny California". New Scientist. Retrieved 2010-11-03. ^ "Speaking of Music". The Exploratorium. Retrieved 19 June 2013. ^ "Osher Fellows". The Exploratorium. Retrieved 19 June 2013. ^ Crutchfield, Leslie R.; McLeod Grant, Heather (October 19, 2007). Forces for Good: The Six Practices of High-Impact Nonprofits. Jossey-Bass. p. 22. ISBN 978-0787986124. ^ Pancaldi, Giuliano (2003). "Museum". In Heilbron, J.L. Oxford Companion to the History of Modern Science. 1. London: Oxford University Press. p. 551. ISBN 978-0-19-511229-0. ^ Rogers, Paul (April 9, 2013). "New Exploratorium, with $300 million price tag, to open next week on San Francisco waterfront". San Jose Mercury News. Retrieved 20 June 2013. ^ a b c Chang, Kenneth (August 26, 2013). "Exploratorium Forced to Cut Back". New York Times. Retrieved 2014-05-15. ^ Gnatek, Tim (2006-03-29). "Taking the Rough-and-Tumble Approach to Science". The New York Times. Retrieved 2010-11-03. ^ "The Webby Awards Gallery and Archive". Webby Awards. Retrieved 20 June 2013. ^ Semper, R.J. (2001-05-13). "Live @ the Exploratorium - providing a public experience with current science through Webcasting". International Journal of Modern Physics C. v.12 (n.4). pp. 439–41. doi:10.1142/S0129183101002565. ^ Grant, Rebecca (February 12, 2013). "Exploratorium's new iPad app reveals 'magic of existing phenomena'". VentureBeat. Retrieved 20 June 2013. ^ "Exploratorium Launches Global Studios, an Entrepreneurial Endeavor to Share Knowledge and Services Around the World" (Press release). The Exploratorium. 15 November 2012. Retrieved 2013-06-19. ^ Frojo, Renee (2012-11-16). "Exploratorium launches global education program". San Francisco Business Times. Retrieved 2013-01-09. ^ "Upcoming Events Calendar | Exploratorium". Exploratorium. 2014-03-17. Retrieved 2018-03-13. ^ "Outdoor Exploratorium: Cool Science at Fort Mason". FrogMom. 12 March 2009. Archived from the original on 15 June 2013. Retrieved 20 June 2013. Wikimedia Commons has media related to Exploratorium. Jennifer Frazier, Exploratorium Curator, Short Talk: "Science Museum Curator"